The most one-side game in competition history ended 121-56, with every member of the team contributing to the Catalans’ biggest league win since 1988, and their seventh highest all-time tally for assists (167). Hanga (15), Heurtel (13) and Oriola (12) led the scoring. The game started tight, but an extraordinary 28-0 streak in the first period totally broke the game. Betis (1/10 in 3-pointers and 6 losses in the first ten minutes) were simply nowhere to be seen. 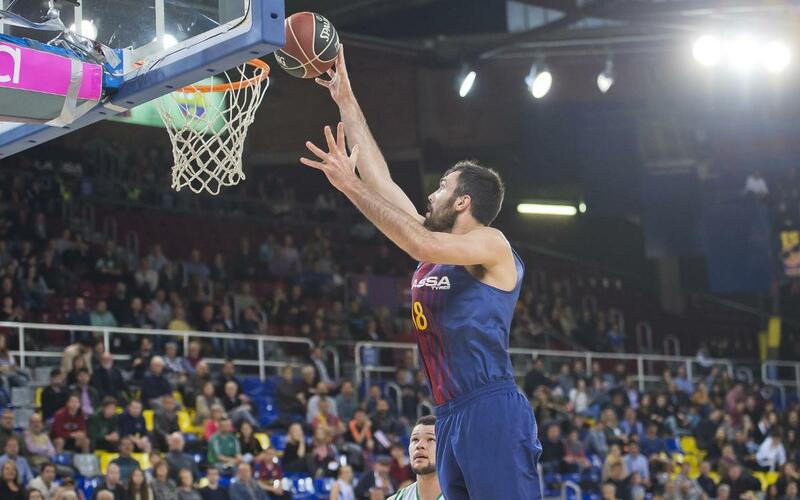 Golubovic finally managed to break Barça’s scoring streak, but not their dominance as the home side marched on towards their highest first half score of the season, 57. After the restart, Barça continued to deliver severe punishment and scored with ease. When Jackson made it 78-34, every member of the team had contributed points, and yet they still wanted more. It was already a scorching 90-41 with a whole fourth period yet to play, and the hundred-mark had been crossed with eight minutes still on the clock! And still the points kept coming on a record breaking night at the Palau.